These are all from Saturday. Marley and I worked a Girl Scout cookie booth, then we went to our friend’s house to celebrate her birthday! So much fun! 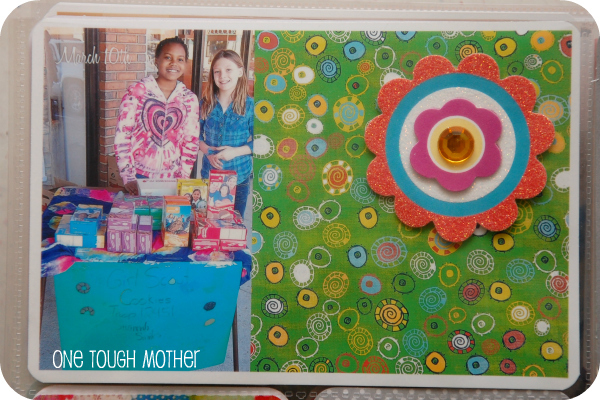 I used Picasa to do a collage with 2 images – one was the picture of Marley and her friend selling cookies, and the other is a piece of digital scrapbook paper. I added a little glittery flower embellishment. I have to share this up close with you. The picture on the left is wallpaper in the bathroom at the store where we sold Girl Scout cookies. It was so fabulous that I had to take a picture of it! It was actually a bunch of pieces of different wallpapers connected together, and they put little flowers in the corners. LOVE!!! 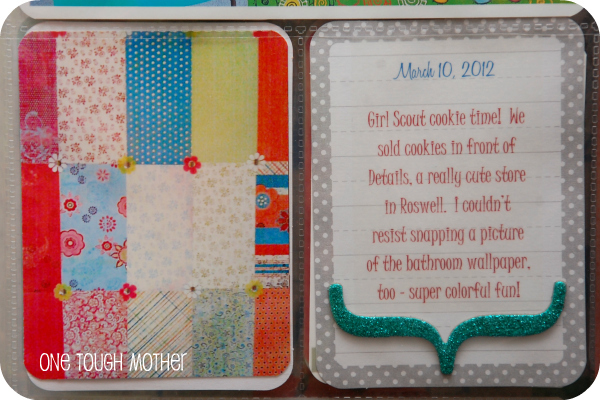 Finally, this is the journal card I did for the birthday party we went to for my best friend. 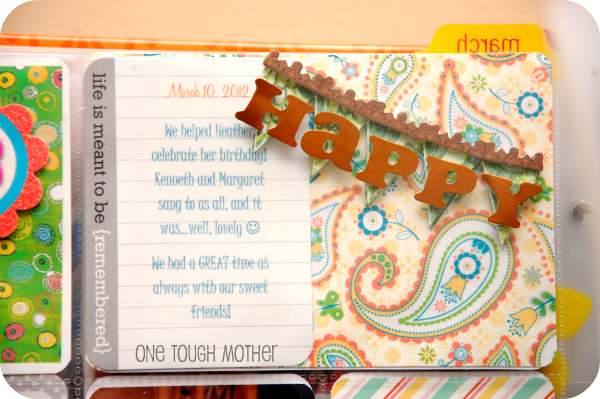 I cut a piece of mat cardstock to 4×6, then attached a journal card and a cute little “HAPPY” banner. 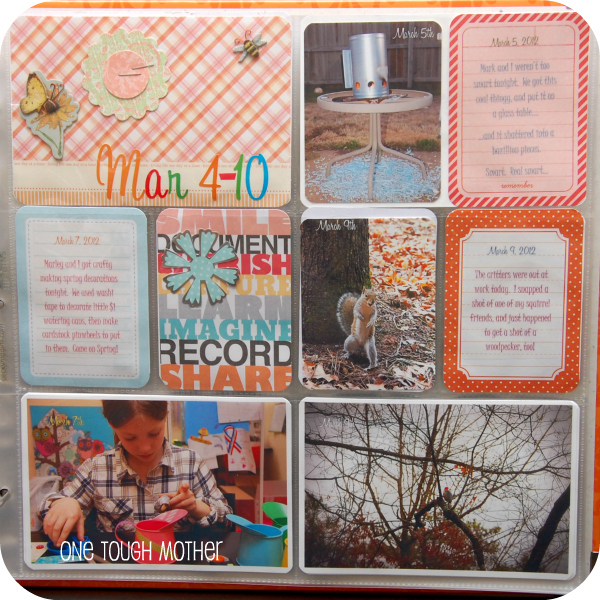 I serioulsy love Project Life. 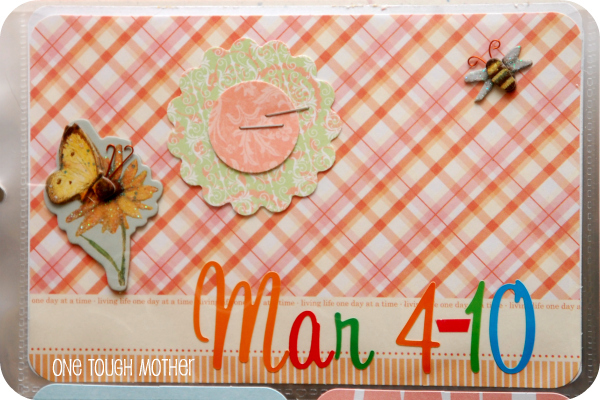 Even when there’s nothing really going on, I still end up with a cute layout for the week. 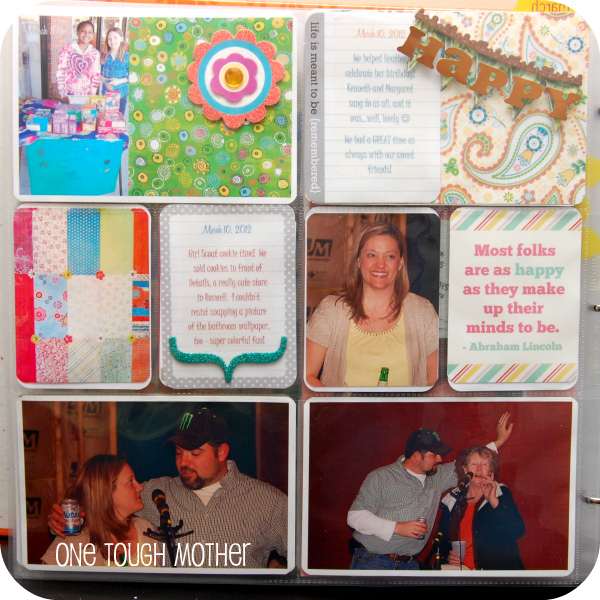 It’s so therapeutic to sit down in my craft room, surrounded by all my goodies, and put the puzzle that is my week in pictures together.